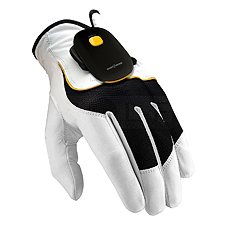 The Golf Sense Revolutionary 3D Golf Swing Motion Sensor is the first personal 3D golf sensor that provides instant feedback on your swing. Its both accurate and fun. Golf Sense helps identify the aspects of your swing that you need to refine to improve your golf game. You can see complete 3D analysis of your golf swing in real-time on your iPhone, iPad, or iPod Touch. It's even possible to break down your swings into the critical segments and then save and share them.